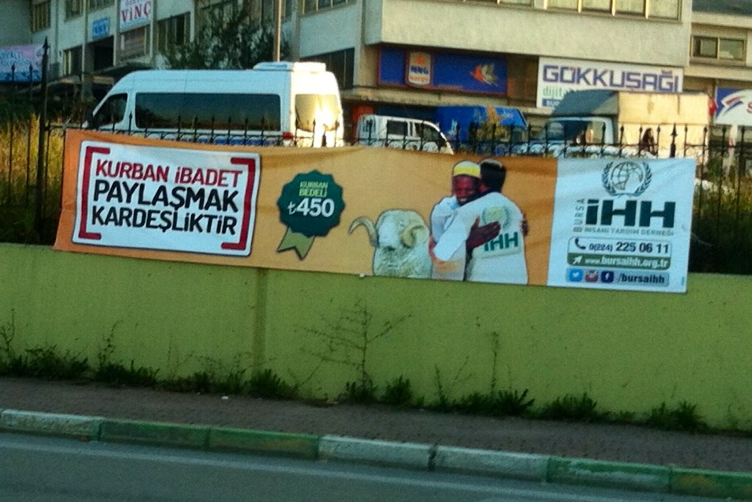 Turkish animal rights groups, of course, reject the premise. They take to the streets instead with signs that read "Yes to holidays, no to murder." To further differentiate themselves from the secularists and make clear that theirs is not an anti-Islamic campaign, they have also made sure to condemn bullfighting and American Thanksgiving. Then there is the health and wellness argument. Islamists have more frequently noted that the requirements for halal slaughter guarantee a level of hygiene and humanity absent in meat-processing plants and slaughterhouses. Foodies can take comfort in the fact that, according to some pious gourmands, halal meat also tastes better. Religious law dictates that a sacrificial animal should not be able to see the knife with which it is slaughtered. Many see this as more humane, but also note that killing the animal unaware prevents the release of bitter-tasting adrenaline into the flesh. And then there is the charity appeal. In recent years, both the government and Islamic charities have encouraged Turks to doneate the proceeds of their sacrificial purchases to helping needy children in developing countries. Through participating in this ancient tradition, in other words, Turks can celebrate the fact that they are now rich enough to enjoy the distinctly Western satisfaction of feeding starving children in Africa. These campaigns are targeted so that ordinary citizens, not just the wealthy, can participate, giving the public at large the chance to feel a part of Turkey’s economic success story. In trying to make modernist appeals for Kurban Bayrami sacrifices, today’s Islamists are actually playing a game that Turkey’s secular founder, Mustafa Kemal Ataturk, started. In an effort to put a distinctly modern spin on Islamic custom, Ataturk gave Turkey’s fledging Aeronautic Organization the right to collect the skins of all the animals sacrificed during the holiday. The proceeds from the leather went toward buying new planes, quite literally transforming the detritus of religious duty into cutting-edge military hardware. In the following decades, Turkey’s Kemalist leaders also assimilated animal sacrifice for civic, rather than religious, ceremonies. Celebrating the completion of a new railroad bridge, for example, could be the occasion for a group of politicians and engineers in suits and derby hats to slaughter a sheep. But a look back at a century of Turkish sacrifice reveals an even bigger irony. Every year, what draws the most outrage from staunch secularists are gruesome images -- often compiled by newspapers -- of ineptly slaughtered animals trying to escape and running terrified through city streets. These scenes, common when people avoid official sacrifice venues in favor of the do-it-yourself approach, are in their own way a tribute to Turkey’s successful development. 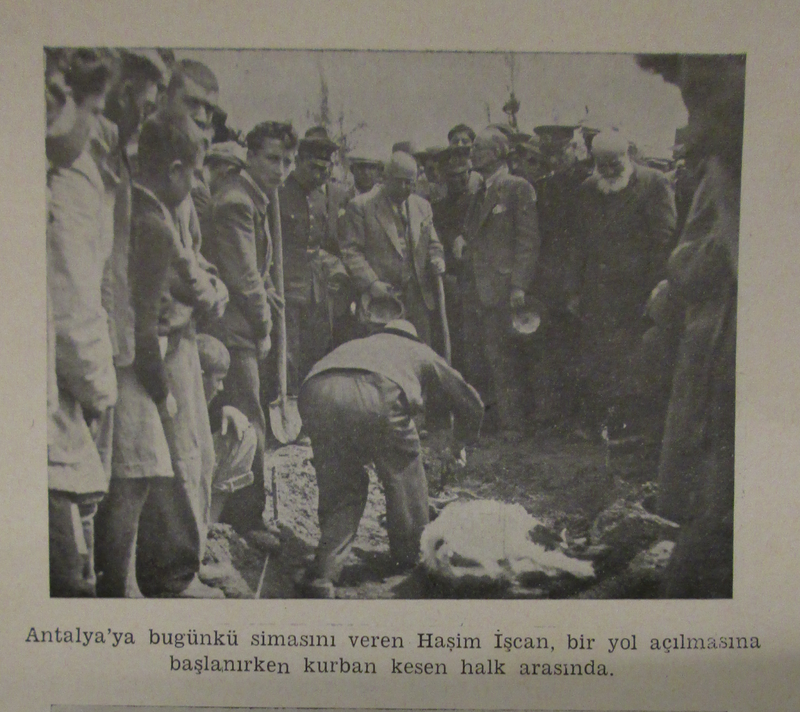 Fifty years ago, when the majority of Turkish citizens were farmers, they knew, if nothing else, how to quickly and cleanly kill a sheep. Today’s slaughter seems even more out of place in the sprawling cities of a predominantly urban country, where the clean concrete floors of car washes turned impromptu abattoirs set the bloodshed in even starker relief. 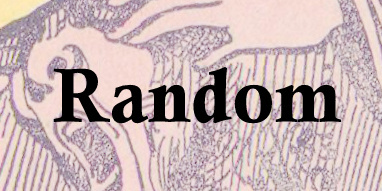 Ideas of modernity are malleable and paradoxical -- and not just during Kurban Bayrami. A few years ago, Istanbul was a city where poor farmers grew vegetables in the moat surrounding the old Byzantine walls and then brought them in donkey carts to sell in weekly bazaars. Some of these traditional bazaars gave way to supermarkets, others became Western-style organic farmers’ markets. Likewise, in many parts of Turkey, sweepingly large mustaches remain an earnest symbol of traditional Anatolian masculinity. But now, among some Istanbul youth, equally large mustaches have become a symbol of whatever it is that they also symbolize for Americans during Movember. Pious Muslims and hipsters alike vie to put a modern spin on other symbols as well, perhaps none more than the Ottoman Empire. Erdogan promotes a powerful but tolerant Muslim vision of the Ottoman past, which can justify Turkey’s regional ambitions while reassuring neighboring states that they have nothing to fear. Art students playfully reproduce scenes from Pulp Fiction and The Shining in the style of Ottoman miniatures to explore the versatility of traditional designs. They might all be referencing the same empire, but they have no more ideological similarity than Civil War reenactors and fans of Abraham Lincoln: Vampire Hunter. Turks have always grasped better than most that modernity is something of a con game. Through hard experience -- spending decades, say, building what they thought were clean, cutting-edge, concrete apartment blocks only to be told by Europeans that a more modern government would have focused on historic preservation -- Turkish leaders discovered that the best thing about being a modern country is having the money and strength to decide what it means to be modern. As the Erdogan government faces increasing criticism at home and abroad, it is easy to forget just how successful his savvy modernist salesmanship once was. His government rose to power by mastering the art of manipulating the rhetoric of Turkey's East-West, tradition-modernity divides. By carefully picking his political initiatives, as well as the words he used to describe them, Erdogan managed to suggest that everything he does -- whether motivated by religious imperatives, common-sense pragmatism, or both -- is impeccably modern. One of Erdogan’s signature accomplishments, after all, was overturning a military-imposed ban on women entering schools while wearing headscarves. It was a victory for those who wanted to wear headscarves, of course, but it was also, in the government's telling, a victory for freedom and for women's education. He also expanded and reconfigured Istanbul’s central square by putting its main through-street underground and relocating a prominent bus stop. He boasts of having created an environmentally friendly traffic-free pedestrian zone. But he also made it harder for potential patrons to reach nearby bars. Likewise, the government's ban on smoking in public was touted as a Michael Bloomberg–style health initiative that also happened to enforce a Koranic injunction. The AKP has used modernism to sell economic reforms as well. Just last week, Erdogan, claiming that Apple makes more money from its brand name than its products, unveiled a new logo to sell Turkish exports to the world. When the party came to power 2003, one dollar was worth 1.7 million Turkish lira. In 2005, the government chopped off six zeros to create the more respectable-looking New Turkish lira, which became the Turkish lira again four years later. Then, in 2013, the lira got its own symbol: . We sometimes forget that countries are allowed to do things like that, but Turkey did. It’s elegant, popular, and just reminiscent enough of the euro symbol to remind everyone that Turkey’s currency doesn’t look all that much worse than its Western counterpart these days. But optics, modern or otherwise, only get you so far. Erdogan succeeded in large part because the core message behind his modernist reinvention was true: traditional Muslim piety and a commitment to Western democratic ideals are not incompatible. So far, an ever more authoritarian Erdogan has managed to maintain the support of his religiously conservative base while increasingly emphasizing piety over than democracy. But after insisting for years that you can be a good Muslim and a good democrat, Erdogan may find himself facing resistance from democratic, Muslim citizens who want a government that respects animal sacrifice and freedom of speech alike. Then perhaps Turkey can become a country wealthy and democratic enough that no one will question its claim to modernity -- one where all citizens are free to decide for themselves what meaning they attach to a dead sheep. This post comes courtesy of Foreign Affairs, where the original appeared October 4th.